Properly knead the dough for dumplings or ravioli is a science that can be mastered only by experience. The dough should be moderately elastic, but not rubber, roll out very thinly and hold the inside of the dumpling all the released juices. The test should be sufficient stickiness to no dumplings fell apart in the cooking process. Choose a favorite recipe and don't stay on it. The dough will molokabonge wide deep bowl. Measure into a glass necessary portion of flour and sift it through a sieve into a bowl. When sifting flour is enriched with oxygen, and the product obtained is softer. Combine milk and egg in a separate bowl. Rabbanite them with a fork and pour into flour. Instead of milk you can use regular purified water. Melt in saucepan butter or margarine. Add in the hot mass, salt and sugar, stir. Pour the liquid butter into flour. 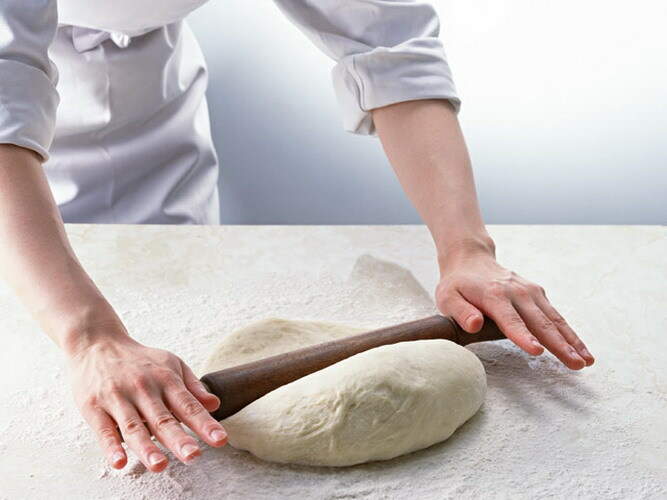 Knead the dough with your hands. It is steep and has to lag behind the hands. Roll out the dough on a Board sprinkled with flour into a thin layer. The dough on kefirnaya yogurt in a large bowl. Pour the flour in a thin stream, constantly stir the batter with a whisk or spoon. All lumps should be carefully grind. When the mass thickens enough, it will become impossible to stir with a whisk, continue to knead the dough with your hands. Do this as long as the dough does not begin with cotton to fall from the walls and bottom of the bowl. Gather the dough into a ball, cover the bowl with a napkin or a plate and let stand for half an hour. Then the dough roll out and sculpt dumplings. The dough is dry venomproject the flour into a bowl. Add semolina, salt and stir. Whisk the eggs with dry white wine, like making an omelet. It is possible to stir with a fork or with a mixer. Pour the flour into the liquid gradually. Constantly stir the batter with a whisk. Flour you may need slightly less than stated in the recipe. It depends on the size of the eggs used. Knead the dough with your hands until smooth. Cover with towel and let stand for about an hour. Semolina in the dough is enough swell, increasing its stickiness. Thinly roll out the resulting dough. It is elastic, the products are well cooked and are frozen. Sculpt from a large number of dumplings, some of them you may boil, and the other part put in the freezer. You will always have a quick Breakfast or dinner with homemade convenience foods.